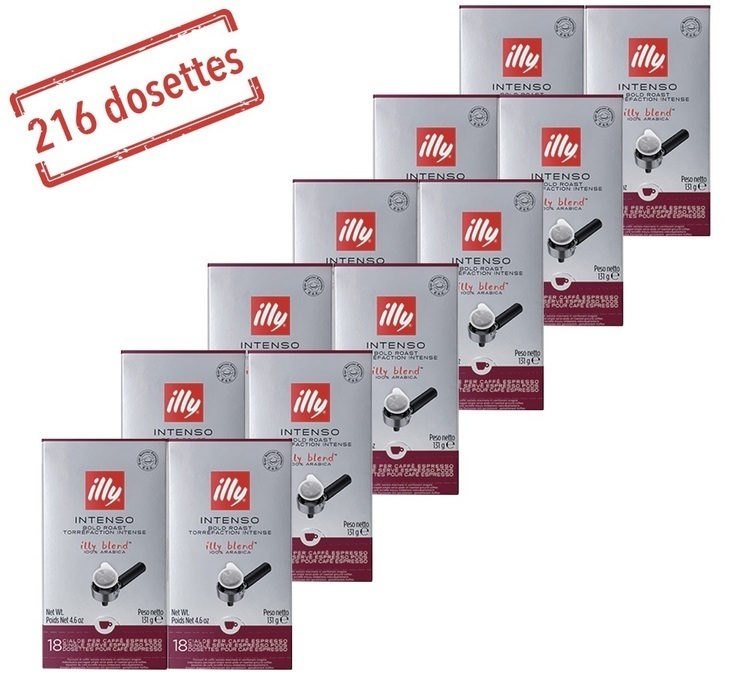 Discover the Illy Intenso ESE pods for your compatible espresso machine. 100% Arabica. For a strong intense espresso. Italian roast. 12 boxes of 18 individually-wrapped ESE pods.